Join us on an interactive journey to help you plan your ultimate onsite experience. 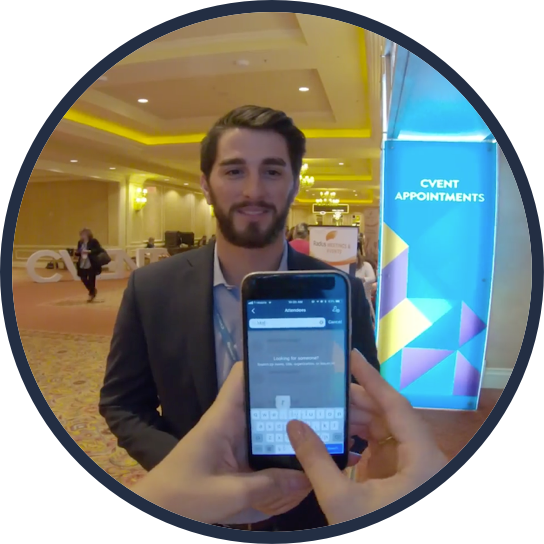 Take a tour of an event through the eyes of your attendees. You’ll experience the world the way they do, and learn precisely what event tech you need to deliver the ultimate onsite experience—one your attendees will love. Watch Video Then Click to Continue! Skip the lines (and the stress) by using OnArrival Check-In and Badge Printing. Check-in to the event to see how it works! 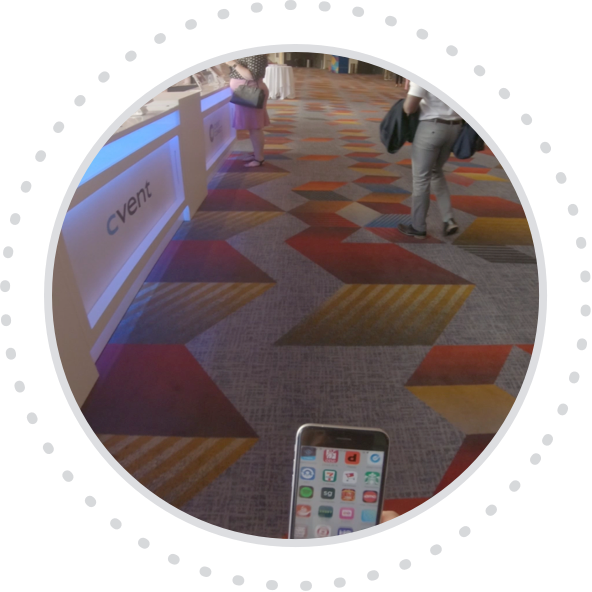 You just checked in using Cvent’s OnArrival kiosk. It eliminates stress, late night badge stuffing, and long lines by helping you check in attendees as quickly as possible. Grab your badge and we’ll head inside! This is your identification badge that will be used throughout the event. Polls are a great way to engage your attendees during a presentation or training. Let us know how many events you throw each year and we'll show you how you compare to other planners. How many events with 50 or fewer attendees do you have each year? How many events with 200+ attendees do you have each year? Display results live for your attendees to increase engagement. Here’s how your responses stack up against other planners. Increase session engagement by allowing attendees to submit questions to the speaker through the mobile event app! Try it yourself! We'll respond to your question ASAP. We’ll walk you through a few questions to help you determine which of the solutions we’ve shared that will help you achieve your goals. Scan, qualify and sync, LeadCapture allows you to create more meaningful connections between exhibitors and attendees. Sponsors (or your team) can capture and qualify leads directly in their smartphone. How would you describe your largest event? How important is real-time communication with your attendees? How important is attendee engagement? How important is lead generation? Do you currently sell sponsorships at your events? We’ll share your recommendations at the end! We hope you enjoyed experiencing an event through the eyes of your attendees. Now we’ll show you what event tech you need to meet your goals.